These examples demonstrate is that Cage was certainly influenced by the koan structure, and the meditative possibilities of its repetition. Where, then, can we see the koan’s influence in the Cunningham mesostics? In section 75 of John Cage’s Indeterminacy, he meditates briefly on the Zen argument regarding repetition: “In Zen they say: If something is boring after two minutes, try it for four. 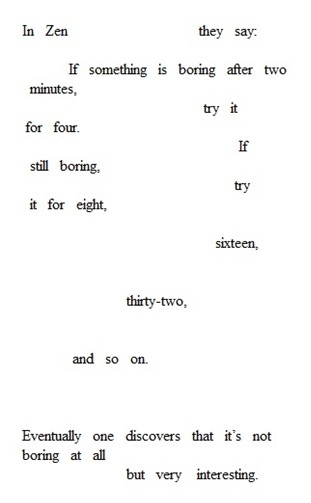 If still boring, try it for eight, sixteen, thirty-two, and so on. Eventually one discovers that it’s not boring at all but very interesting.” In this brief quotation, we are forced to immediately contend with Cage’s view of repetition: rather than a meditation on what is being repeated, Zen (and by proxy Cage) see repetition as a means of discovering something present, but latent, in what gets repeated. It is unsurprising, then, that Cage’s work (his poetry, prose, music, and visual art) are all marked by distinct and prolonged repetition. Consider, for example, 4’33”, a piece that repeats, insistently and incessantly, the silence of a refusal to perform. And, yet, as nearly every scholar has noted of 4’33”, the piece is virtually unrepeatable. The sounds of audience, environment, and ambience, makes each performance unique. “Mesostic 30” shows one of the most important features of repetition in the Cunningham mesostics: the repeated references to movement, shown here in the especially paradoxical “rooted / run,” a koan in its own right. While the “run” in this poem suggests a movement, the “rooted” that precedes it implies a stasis, one that necessarily grounds the movement, and, in turn, makes it cyclical, a run that forever repeats itself. The cyclicality recalls the “inging” I’ve discussed previously; “inging” is itself a koan, reminiscent of the famous koan “mu” (which cannot be adequately translated into English, but very roughly translates to “not”) which is often given to young monks. I start with this example not only because “rooted / run” perfectly summarizes the repeated tension of movement and stasis within the poem, but also because of the necessarily aborescent connotations of the word “rooted,” which provide an important link between Cage’s poetic work and the philosophy of Gilles Deleuze and Félix Guattari, who, in A Thousand Plateaus, present the rhizome as an alternative to the totalizing principles, binarism, dualism, and linearity of what they term aborescent thinking[i]. While Cage’s sequence predates Deleuze and Guattari’s work by some seven years, he grapples with a similar concern here, opposing the “rooted”ness of arborescent thinking with the anarchic “run” of repetition and movement. “Rooted / run,” then, serves as our jumping-off-point, from which we must then understand the repetition of this poem as, in so many ways, attempting to reconcile the stasis of the poem with the movement and process Cage wishes to capture. In re-encountering these concepts throughout the sequence, repeating their koan-like nature as though meditating constantly on this tension, Cage’s reader is forced to reconcile this relationship between the repeated and the unique, the moving and the static, what is written in ink and what Cage’s work endeavours to place in flux. But, “rooted / run” is not an isolated occurrence in the poem, and Cage’s work constantly returns to these tensions. Consider, for example, the ending of “Mesostic 46,” a Cunningham mesostic in which the final four lines, organized by the letters GHAM, read an uncharacteristically semantically sensical “go / there / and / move.” “Go / there / and / move” quite literally signals this tension between movement in “move” but complicates it slightly with “go / there” – the poem commands its reader to situate his/herself in a specific spatio-temporal location, a “there,” and subsequently instructs him/her to “move” either within, or from, that location. Importantly, “go / there / and / move” is only one of a number of direct references to movement within the poem. 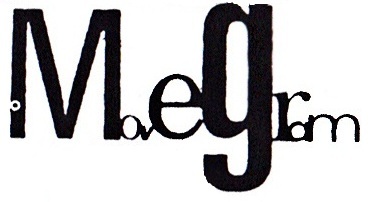 “Move” itself appears again on its own once more, on page eleven. The word “movement” appears in full twice, first also on page eleven, and then again on 112. Additionally, on page 125, “Mesostic 31” includes the especially interesting portmanteau “movegram,” which links this “movement” to the linguistic realm. In “Mesostic 31,” page 125. With “movegram,” Cage’s work highlights the crux of this tension between movement and stasis, between the unique and the repeated: that language, in its attempts to organize, categorize, and communicate, works to make the moving static, to make the unique repeatable, to regularize and make same the different. “Movegram,” then, for us as readers, is a koan especially difficult to conceive of. In its invitation to the reader for active engagement with the mesostics, Cage’s chance-produced text is still just as full of paradoxical, thought-provoking koans as his more traditionally composed work. And, indeed, the subtle or implicit, but nonetheless irreconcilable, paradox of “rooted / run” or of “movegram” (or even of the “sicductor,” which I discuss often), seems a more apt meditative koan than Cage’s slightly less provocative thoughts on passing gas[ii]. Providing a reader with the irresolvable koan requires that s/he undertake a shift in mental state from a Westernized privileging of dualism and logic (Deleuze and Guattari’s “aborescent thinking”) to what the Zen Buddhists call satori. D.T. Suzuki, a friend of Cage’s renowned for his role in bringing Japanese Zen Buddhism to the West, defines satori as “an intuitive looking into the nature of things in contradistinction to the analytical or logical understanding of it. […] [W]ith satori our entire surroundings are viewed from quite an unexpected angle of perception” (Essentials of Zen 154). Reaching satori, a kind of enlightenment, is possible only when one accepts that dualism and logic is flawed. In these brief moments of koan, the Cunningham mesostics encourage readers to accept the kind of noise that occurs in silence, the kind of uselessness that provokes new meaning, and the kind of blindness that opens up new ways of seeing. [i] They write: “Arborescent systems are hierarchical systems with centers of significance and subjectification, central automata like organized memories” (A Thousand Plateaus 18). And later, in rhetoric more characteristic of their style of writing: “We’re tired of trees. We should stop believing in trees, roots, and radicles. They’ve made us suffer too much. All of arborescent culture is founded on them, from biology to linguistics. Nothing is beautiful or loving or political aside from underground stems and aerial roots, adventitious growths and rhizomes” (17). [ii] My comments here clearly indicate my own desire to keep some things “familiar” – Cage’s discussion of farting, perhaps much like Duchamp’s “Fountain,” seeks to defamiliarize my notions of art and of poetry, and of the mundane. I acknowledge my own bias in my unwillingness to meditate on farting. This is an interesting entry, and I like the turn to D&G and to koans (it’s a very fruitful pairing, I think, the koan and the rhizomatic, in that the kind of thinking they require/provoke seems very similar). But I’m wondering if there’s more for you to say about Mesostic 30. Your discussion of “movegram” is helpful, but does your point about the linguistic turn actually begin in mesostic 30 (or maybe even earlier? 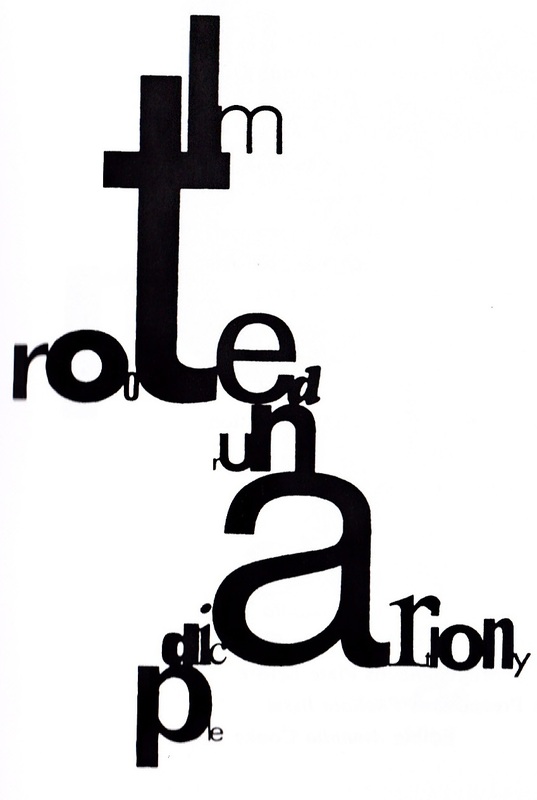 ), “I’m / rooted / run / dicartiony / ple,” since “dicartiony” is an anagram of “dictionary”? What do you make of that? And what about the waste/excessive/remainder ending “ple”? Those moments of linguistic excess seem important. Well, that’s just perfect. If we read “dicartiony” as an anagram of dictionary, then “rooted / run” becomes a linguistic line of flight. Already disrupted by the dislocation of letters, the dictionary is still in plain view, cannot help but be read. Here again is the inescapability of language, and it might lend credence to Mac Low’s observations in my most recent section that even nonnormative syntax (and here spelling) still falls into the trap of sense, of semiotics, of that language-game of giving information. But “ple” is more difficult. It does not (and really cannot) make any sense on its own, at least not in the manner that the rest of the poem does. In an otherwise semantically sensical (ish) poem, the “ple” is, perhaps, a moment of noise in which the earlier arguments of the poem (you’re stuck here, but you have to run; you keep trying to read this, but you can’t) give way to this transient moment of waste, but also possibility. “Ple” starts more words than I could list here. From the Greek πλείων, the prefix means “more,” suggests infinite potential readings, leave us as readers to fill in the blank. If the first four lines of this poem are wrought with tension, the silence after that final line is a resounding argument for the possibilities of a reading that moves away from the dictionary (as a metonym for overcoding at its finest). It’s lovely! “ple” also seems to exist on the boundary between morpheme and phoneme–and it’s interesting that you thought about it as a word beginning, because I thought of it as a word ending (“multiple,” people,” etc), probably because it functions as the ending to the poem. But, yes, that turn to excess/waste is such a successful way to end an unusually normative mesostic. It also exists, not just as waste/excess, but perhaps as a grounded presence of language, in that it does not allow (at least in and of itself) the reader to move away from its materiality towards a signified. It is a linguistic body that would seem to be whole in and of itself (without a signified) at the same time that it can also be read as a proto-prefix or -suffix, which would again move it away from the singular and towards the communal? I like this idea of the materiality of “ple,” too. Going back to McCaffrey, who, as I’ve quoted elsewhere, says that meaning is the telos of language only insofar as a dematerialization occurs. “Ple,” especially after “real words,” refuses to dematerialize, only gestures towards it (“mimes” it, as I’ve suggested in another Cage entry. Princi-ple-s of noise. I like the direction that you and Andy take in the discussion section where “ple” begins to adopt the valence of noise. In the context of Claude Shannon’s information theory a fragment like “ple” would manifest as the noise that structures the signal or message. As well, within every layered screen of noise there are sub-fields of concretization; i.e., of “meaning” as such, but this meaning itself contains further noise, and so on, or as Vonnegut says, so it goes. The mesostics are like a “movegram,” which is itself a lovely term connoting dynamism, change, and dancing. Maybe the mesostics are like an informatic drug: a “movegram” has a certain weight, coming from “gramma” meaning letter – i.e., “you can buy 3.5 grams of letters” and with these grams you can permute a plane (or plateau) of satori. As well, I like to think of the mesostics as infinitely fractured and fragmented: they are koan-like as you point out, but they are also like infinite aphorisms – (Derrida has a lot to say about aphorisms) – and every aphorism defines, but also cuts from a whole to create its own whole. A “ple” here and a “rooted / run” there returns the stillness of meditation and the fragmented noise of life. I love this idea of “movegram” as word-drug (I was flipping through _The Soft Machine_ last night as if I saw this comment coming!). But I’m especially fascinated by the idea of movegram as a measurement of language! As if we were able to substract pieces and still use them.